Congratulations. You are now a product manager. The same role you always wanted is now yours. What do you do now? About a year ago I did a talk on How to succeed as a first time Product Manager at Product Camp Boston. The lessons were based on my first year in product management, and all the awesome things I did (a few) and ALL the screw-ups (A LOT). This blog post is based on learnings from that time. One year is a lot of time. But time is dependent on where you are. In a startup, or a new product, three months of time would seem equivalent to a year at an established company. It really helps to align around two things: decisions and deliverables. Each company has a different (informal) process on this. What does engineering need from product management to deliver on a product/enhancements? What does marketing need? Is there someone in product marketing who will be your peer? What does sales need? Is it your product marketing peer who will provide this? Or someone else? Which market segments you might choose? Which major features or new products get put on the roadmap? Get prioritized? How much effort goes into each feature? How does engineering decide when to put in effort to reduce technical debt, and when do they decide to deliver a feature fast? When is a product called release-ready? Understanding these will give you key insights on how to drive decisions on your own product. Customers – are the reason why your company exists. You need to establish a peer relationship with customers. You are not an order taker; instead, you are a peer that can help them solve their problems. Stakeholders – everyone who has a voice in product decisions. I would ask them about their current experience with product management in the company, and where things could be better. (Then deliver on that feedback!). Take them out for coffee or lunch. Learn to get to know them informally before you interact in a formal setting. Your boss – Your boss is your mentor, your coach, and your guide. Set up regular check-ins. Tell your boss you want as much brutal honesty as possible, and you both want to make the company successful, but also grow as a PM. At the same time, learn about your bosses’ communication style, needs, shortcomings etc. This article is the best resource I can recommend. You need to define what you want your reputation a.k.a. your Personal Brand to be. What is a personal brand? It’s what people say about you when you are not in the room. I have gained a lot of insight from reading Patty Azzarello’s book Rise. She lays out how to define a personal brand that you want to achieve, but more than that, define what activities help you establish that brand, and which activities detract from it. It’s the activities you do – from how you think, to how you speak, email, what actions you take – that will ultimately define your personal brand. Ownership – The biggest difference in PMs that deliver results and those who do not, is a sense of ownership. Are you willing to take on any activity required to deliver the results you promised? Will you fight anyone who stands in the way? Will you argue with the CEO and the board if needed? Focus – This is the Yin to the Yan. While you take ownership of everything, you define where you can deliver most value. And you help the team focus on what’s important now. Block time on your calendar to get things done. This is NON-NEGOTIABLE time. For me, this is typically early morning time when I am most energetic. Have your own list of important goals, and prioritize initiatives that have a direct link to it. De-prioritize everything else. Don’t have FOMO (Fear Of Missing Out)! Miss meetings. Unless you have an EXPLICIT ask in the meeting, or you want to heavily influence the outcomes, skip it. Instead take 5 minutes with one of the participants to catch up on what happened. One of the things people might find controversial is engineering standups – I go to these most days of the week, but skip them when needed. This seems like a LOT to do. But that is the job of a Product Manager. Just go ahead and do it – the results will be worth it! Shobhit Chugh leads product management for Tamr, which empowers organizations to leverage all of their data for analytics by automating the cataloging, connection and curation of “hard-to-reach” data with human-guided machine learning. He has spent his career in tech startups including High Start Group, Lattice Engines, Adaptly and Manhattan Associates. He has also worked as a consultant at McKinsey & Company’s Boston and New York offices, where he advised high tech and financial services clients on technology and sales and marketing strategy. 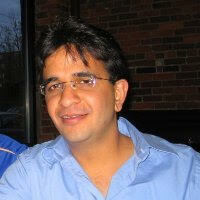 Shobhit holds an MBA from Kellogg School of Management, a Master’s of Engineering Management in Design from McCormick School of Engineering at Northwestern University, and a Bachelor of Technology in Computer Science from Indian Institute of Technology, Delhi. What a great set of tips for any PM! Whether you are starting your first year of product management, or just your first year of product management at a particular company, all of these tips are essential.